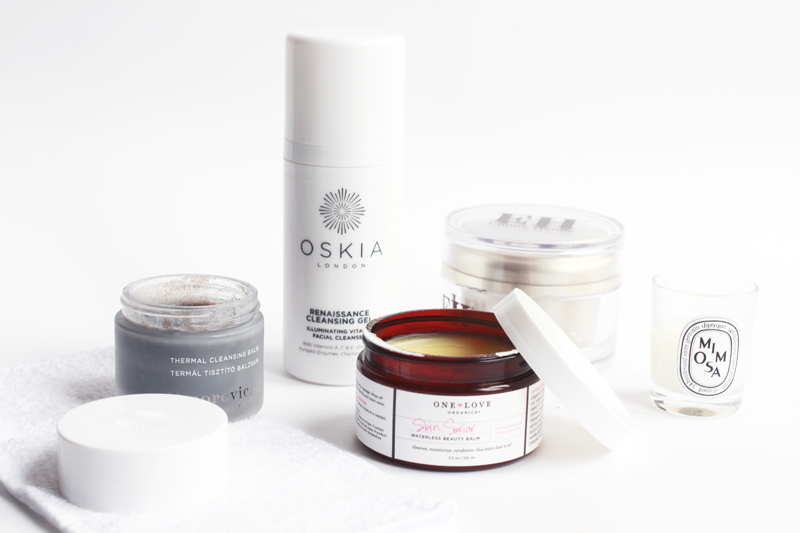 Oh balm cleansers. They are, hands down, my favourite cleanser to use. I’ve actually come to enjoy taking my makeup off on a night time, as smothering my face in a beautifully scent balm cleanser is like therapy. That and a hot flannel to remove it – bliss. I thought I’d go through my favourite types of these cleansers, as they’re perfect for this time of year with them being oh so comforting on cold Autumn nights. The one who started the obsession is, of course, the Emma Hardie Moringa Cleansing Balm. Cult blogger favourite and one of the most hyped up cleansers of the past year, I’d say. Although I didn’t see it at first, this balmy delight has been my most used (almost every night!) and most repurchased (3 tubs down) of them all. It smells heavenly and just works so well at removing makeup and leaving skin so smooth and hydrated. I adore it. Next is the Omorovicza Thermal Cleansing Balm, which is the most deep cleansing balm of them all I think. It’s pricey but you only need a small amount and it just melts onto the skin. It’s made with mud and draws impurities out of the skin, so ideal for those prone to congestion. I don’t use this every night, but it is great at reviving my skin if it’s looking a bit dull! 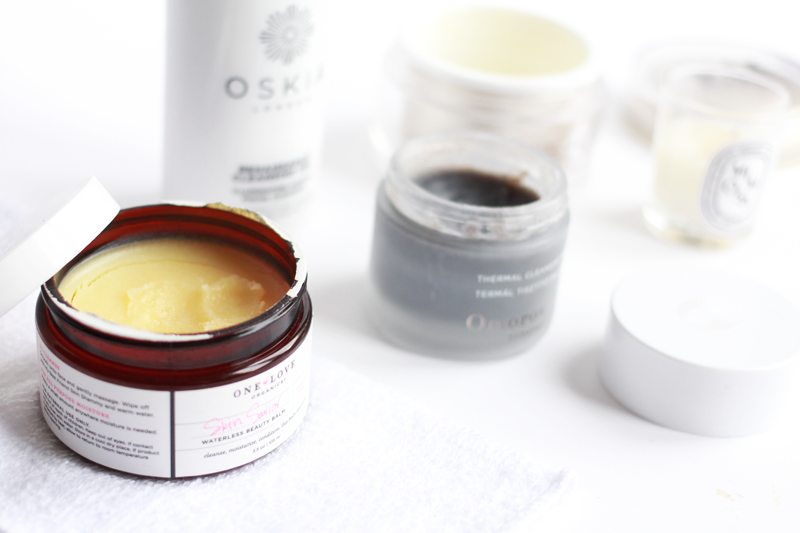 Continuing down the line of gorgeous scents, the One Love Organics Skin Saviour Waterless Beauty Balm has been one of the most heavily used out of my stash recently. It smells a bit citrusy, but warm and just lovely and leaves skin so, so soft. Honestly, you can’t stop touching your own face afterwards. I really love it, and, along side the Emma Hardie balm I would definitely repurchase! Though, a little goes such a long way that I can’t imagine that’ll be any time soon. Finally, my most recent purchase is the Oskia Renaissance Cleansing Gel. I was a bit skeptical with the phrase ‘gel’ as they tend to be drying, but it’s definitely got more of a balm consistency. One pump is enough (you don’t get much per pump) for your whole face and I tend to use it as a second cleanse, just to purify my skin. It’s thick but once you massage it in, it melts and is much easier to move around. Also, weird beauty fact: since I started using this, my eyelashes have never looked better! Do you use balm cleansers? Recommendations are very welcome in the comments. Make sure you enter my new giveaway to win RayBans worth £129! Click here.